I started my Real Estate Career in the Kansas City area in 1986. I obtained my licenses in Kansas and Missouri. 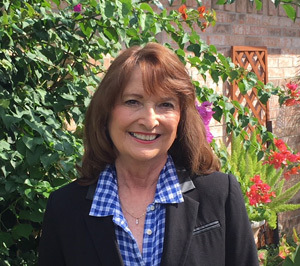 After meeting my husband in Prairie Village, Kansas, I moved to the League City, TX area in 1990. In 1991 I obtained my Real Estate license in Texas. I have been a Realtor since then. I enjoy working with both sellers and buyers. I love serving people and helping them make one of the largest financial decisions of their lives. I realize the importance of my work. I also value my client’s time, and strive to be prepared when showing or selling and conscientious in answering their phone calls, texting and emails. I endeavor to keep updated on market conditions, style and trends. Through my vast experience, I realize that each client is different and has their own needs and tastes. I love helping my clients in any way I can. I live in League City and work in all areas in League City, in the Clear Lake Area, Galveston and surrounding areas. I work with both buyers and sellers. I also have experience in leasing. Linda was super to work with. She was prepared and answered our questions. Working with her made the task of house shopping easy. I appreciate how thorough Linda was. She showed us several properties that met our criteria. Her cheerful attitude & patience allowed us to purchase a home that was better than we realized. Linda helped us find our home. She focused all her attention on us to be sure we bought the home that was perfect for us. We love it. She is a consummate professional. Linda was our realtor in our search for a home. My wife and I were very particular in what we were looking for and Linda persisted patiently over a long period until she found the perfect house for us. She is extraordinary; well beyond our expectations!